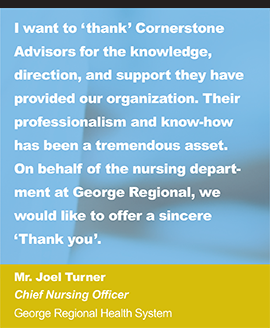 This October 8-12, Cornerstone Advisors is a Proud Partner of U.S. National Health IT Week. 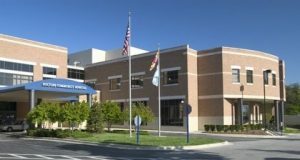 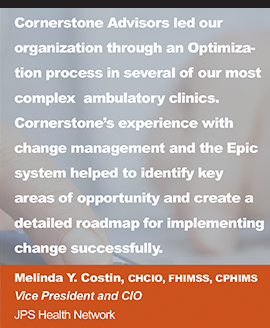 U.S. National Health IT Week is a nationwide awareness week focused on catalyzing actionable change within the U.S. health system through the application of information and technology. 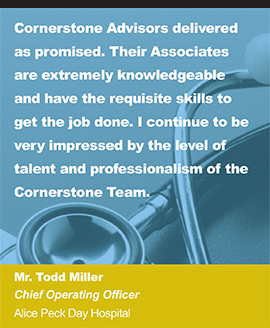 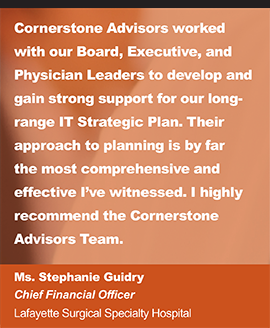 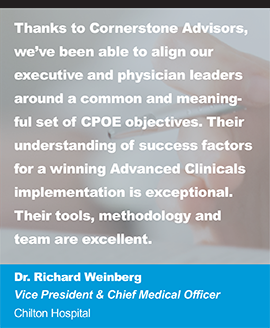 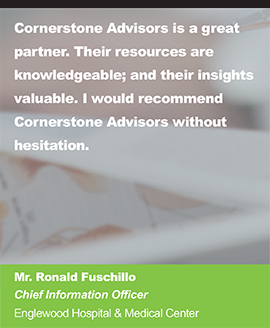 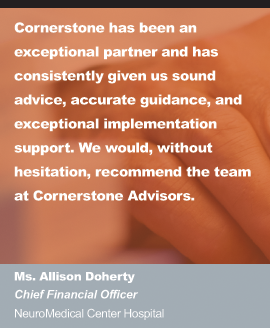 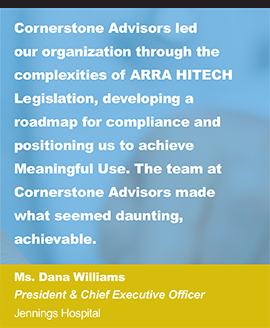 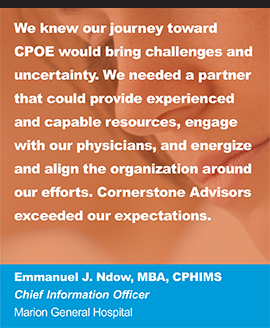 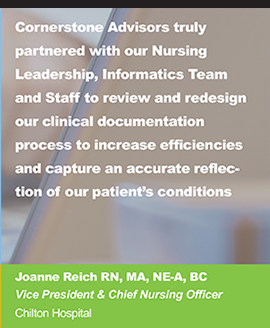 Working together with the HIMSS growing coalition of stakeholders and as a proud HIMSS Gold Corporate Sponsor, Cornerstone Advisors is helping to transform healthcare for all.